Tungamah Speckled Park Stud is a family owned business that has been created on a small farm just west of Gingin WA. Tungamah Speckle Park Cattle Stud, Gingin WA formed in 2011. Garry and Bloss Thomas have been successfully running commercial cattle for some time and decided to diversify into Speckle Park after visits to Sydney Royal and Speckle Central’s Open Day May 2011. Having made the decision Tungamah has implemented an embryo implantation program using over 100 embryos purchased from Speckle Central. With the purchase of two herd sires and a bull calf, Tungamah’s intention is to build up both stud and commercial herds as quickly as possible. 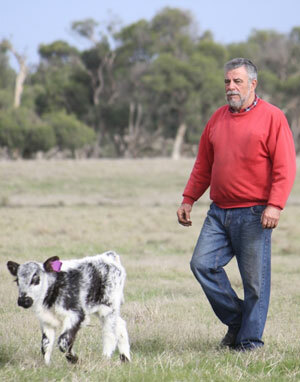 By joining Speckle Central Speckle Park Breeders Group and forming the Western Australian arm, Speckle Central WA Garry and Bloss along with Tony have access to the best Speckle Park genetics available.